WASHINGTON — The data firm whose work for Donald Trump's campaign attracted the interest of Robert Mueller's investigators recently filed paperwork showing it had helped spread negative information about Qatar, the Gulf nation targeted by the Saudis and the United Arab Emirates in a bitter propaganda battle. The parent company of Cambridge Analytica filed documents with the U.S. Justice Department's Foreign Agents Registration Unit disclosing $333,000 in payments by the UAE for a 2017 social media campaign linking the Qataris to terrorism. In June the Trump administration endorsed the aggressive Saudi and UAE stance against Qatar, and their decision to cut diplomatic ties. The filing by SCL Social Limited is one of hundreds of new and supplemental FARA filings by U.S. lobbyists and public relations firms since Special Counsel Mueller charged two Trump aides with failing to disclose their lobbying work on behalf of foreign countries. The number of first-time filings like SCL Social Limited's rose 50 percent to 102 between 2016 and 2017, an NBC News analysis found. The number of supplemental filings, which include details about campaign donations, meetings and phone calls more than doubled from 618 to 1,244 last year as lobbyists scrambled to avoid the same fate as some of Trump's associates and their business partners. The flood of new filings provides a small window into the long-opaque industry of foreign lobbying in Washington in which money is spent by foreign governments to sway the opinions of the American public and U.S. officials, most often against their adversaries. The uptick, legal experts say, comes from a new awareness that a failure to disclose overseas political work could lead to federal charges. In October, Mueller indicted former Trump campaign manager Paul Manafort and his business partner Rick Gates. They have pleaded not guilty. Former Trump National Security Adviser Michael Flynn pleaded guilty in December to lying to the FBI. Included in his statement of offense was the finding by Mueller's team that Flynn made materially false statements in his FARA filings about his work on behalf of Turkey. Before Manafort and Flynn's wrongdoing came to light, there had been only three indictments for alleged FARA violations since the amendment of the Foreign Agents Registration Act in 1966. None resulted in a conviction. In reality, lobbyists say, many American firms have been doing business for foreign governments over the past decade, often creating ad campaigns to promote a specific solution to a humanitarian crisis or organizing events to introduce foreign leaders to U.S. officials. 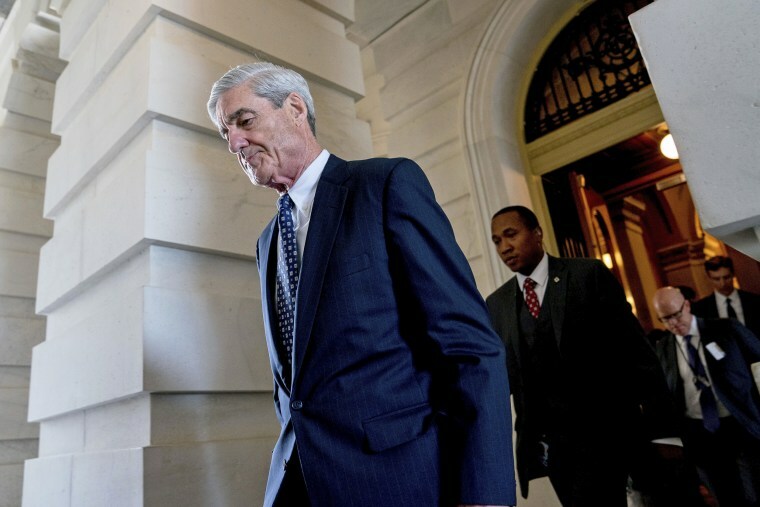 Mueller's probe into the Trump campaign's possible collusion with Russia to influence the 2016 presidential election has pulled back the veil on this lucrative industry that has been quietly flourishing in Washington for years. One lobbyist who has recently filed under FARA and spoke to NBC News on the condition of anonymity said the firms can work as "little State Departments," doing the work of diplomacy for a foreign government inside the United States. The reason many have been reluctant to file under FARA, the lobbyist said, was most often at the request of the foreign client who wanted to keep the amount of money it was pumping into lobbying in the United States under wraps. News reports that the FBI and Mueller were probing the FARA databases as part of the high-profile probe started circulating earlier this year, causing many lobbyists to take note and file paperwork on efforts they otherwise might have left undisclosed. The $333,000 contract between SCL Social Limited and the National Media Council of the UAE included creating multiple ads on Facebook, Twitter, YouTube and other social media sites with the hashtag #boycottqatar, drawing ties between terrorism and Qatar. SCL Social Limited spread the negative ads during the United Nations General Assembly meeting in September. Both the firm's lobbying activity for the UAE and its FARA filing are entirely in keeping with the law. Beyond ads specifically calling for President Donald Trump's attention to the issue, the filing does not mention the president or ties between his campaign and SCL's subsidiary, Cambridge Analytica. But the connections between the Trump campaign and Cambridge Analytica have been widely reported in stories about potential collusion between the Trump campaign and Russia during the 2016 election. Alexander Nix, the CEO of Cambridge Analytica who is listed on the filing, reached out to Julian Assange in July 2016 seeking access to emails from Hillary Clinton's private email server so he could use them as part of Trump's election efforts, according to multiple media reports. Some of the other relationships disclosed in the 2017 supplemental filings include work by a Washington-based firm known as West Wing Writers to craft speeches for Jordan's Queen Rania al-Abdullah. The Royal Hashemite Court of Jordan, which represents the monarchy, paid the firm more than $50,000 between October 2016 and May 2017 for the "preparation of various public remarks and written communications" by the queen. The firm said in the filing that the remarks often focused on humanitarian issues, but that they were not involved in the "finalization of the remarks" or how they were delivered. Another Washington group, known as Logan International Relations, filed "out of an abundance of caution" for work it did for the Peace Ambassadors for Iraq. In the filing, Logan International Relations said it does not believe any of the work it performed is necessary for filing under FARA because its target was the European market. Another filing came from a little-known company called MediaFix Associates, run by John Schwada, who filed in December 2017 for promoting a March 2016 appearance by retired four-star general Wesley Clark on CNBC and Fox Business Network. According to Schwada's filing, Clark raised concerns about Fetullah Gulen, an elderly Muslim cleric and known opponent of Turkish President Recep Tayyip Erdogan, and his influence in the United States. "I was a novice in the world of international lobbying," Schwada told NBC about the late filing. He described the complicated guidelines for filing that make it difficult for someone new to the business. In a high-profile case, veteran lobbyist Tony Podesta left the firm he founded, the Podesta Group, after it came to light that Mueller was investigating the firm for failing to disclose its work on behalf of a pro-Russian political party in Ukraine. Podesta had previously said he did not know he was working for a political party because his group was doing the work as a sub-contractor through Manafort's firm. NBC News has previously reported that Podesta's firm is one of the unnamed companies in Mueller's indictment against Manafort and Gates. Daniel Pickard, a lawyer specializing in FARA, said that there has been a significant increase in new FARA clients. The main driver, he believes, is a new awareness of the repercussions for failing to disclose foreign lobbying work. "There are a lot of people out there who are not aware of the requirements of the Act," said Pickard. "There was certainly a misunderstanding on the part of some that believed that they were entitled to register under the Lobbying Disclosure Act instead of FARA," he added, referring to an exception under the law but which does not apply to the representation of foreign governments and political parties. "Now that it is public knowledge that the Justice Department is being more proactive, including looking through Lobbying Disclosure Act forms, we are seeing a lot more FARA filings."